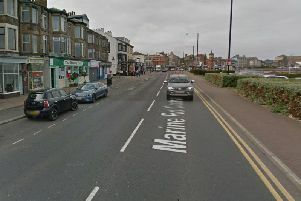 Three bikers were taken to hospital after crashing into each other on a major road in Chorley. Police were called to Yarrow Valley Way on Sunday afternoon after the crash involving the bikers, who were travelling together. Officers said it appeared one bike had pulled over, and the others had clipped it. The three people were taken to hospital in ambulances, but the injuries were not thought to be life-threatening. The road was closed in both directions between Ackhurst Road and Burgh Wood Way.